Before the Christmas season has passed me by, I want to get a post out. This has been one of the busiest Christmas-es I have ever had. So many things happening that I sometimes thought I wouldn't be able to get everything done. But here's a gist of what's been happening with me. 1. We lost a friend this year - Thom Petty. You might have seen the tribute post for him. He is having a great time in heaven with Jesus, I'm sure! 2. The band I sing with - the WOW band, has been busy this season, and we've had a lot of fun singing all around the city. 3. I conducted my first baking workshop for a MOPS (Moms of preschoolers) group, and it was sooooo much fun! 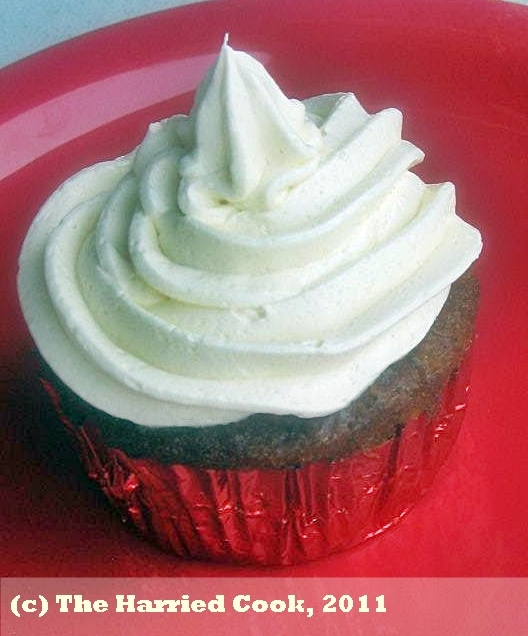 We made carrot cake/cupcakes with a coconut frosting and it turned out great! 4. I did another restaurant review earlier this month, and I can't wait to share it with you. Look out for that post in a couple of days! 5. We had a really lovely barbecue dinner at church and I marinated chicken & beef for 200 people! It was a lot of work, but SO rewarding & yummy! The only disadvantage of this busy-ness has been that I have hardly had any time to bake, and even less time to blog. Here are a few things I made this season. Since these are not all particularly Christmassy desserts, I will post the recipes (and better pictures!) for these treats over the next few weeks. To start off, here's something for the season from our home. 1. Sift the 2 1/2 cups of the flour, salt and baking powder and set aside. 4. Add the vanilla and mix until well incorporated. 5. Add the dry ingredients and mix to form a soft dough. If the dough is too sticky, add more flour. If you use medium eggs, you shouldn't need more than 2 1/2 cups. 6. Divide the dough into two equal sized portions. Divide one of the portions into halves again. 7. Wrap the larger ball of dough in clingfilm and refrigerate for at least an hour. 8. Add red food coloring to one of the smaller balls of dough, and green food coloring to the other. Knead to incorporate. 9. Wrap the balls of dough separately and refrigerate. 10. Divide the uncolored dough into two portions. 11. Refrigerate one ball. Roll the other portion into a rectangle about 1cm thick. 12. Roll out one of the colored doughs into a rectangle about 1cm thick. 13. Lay the colored dough on a piece of clingfilm, and place the white dough rectangle on top of it. 14. Using the clingfilm, roll the two doughs along the length to create a log. 15. If you desire, press some sprinkles/jimmies onto the outside of the log. Wrap well in clingfilm and refrigerate. 16. Repeat the process with the other colored dough and the remaining white dough. 17. When you are ready to bake, slice the cookies about 1/2inch thick using a sharp knife. 18. Arrange on a baking tray making sure there's at least 2 inches between each cookie. 19. Bake at 350 for 8-9 minutes, or until the sides are just starting to turn golden. 20. Let them rest on the baking tray for 2-3 minutes before transferring them to a cooling rack. These cookies look really nice, and I think next time I will add lime zest or some spice to make the flavor a little more interesting! Life is always busy but it turns hectic near the holidays. Your pinwheel cookies look very festive. Wishing you and yours a Blessed Christmas! Those are so festive and pretty! I think we all had an overly busy Christmas season this year. Happy New Years, wishing you all the best for the upcoming year. Cute cookies, could even change the colors and use them for a different holiday. Oh, those no bake cookies look wonderful! Thanks for catching us up with your delicious baking! Happy New Year, my friend!! happy new year! Good to see you're back! So sorry to hear about your friend. love these pinwheel cookies, so Christmas-y. 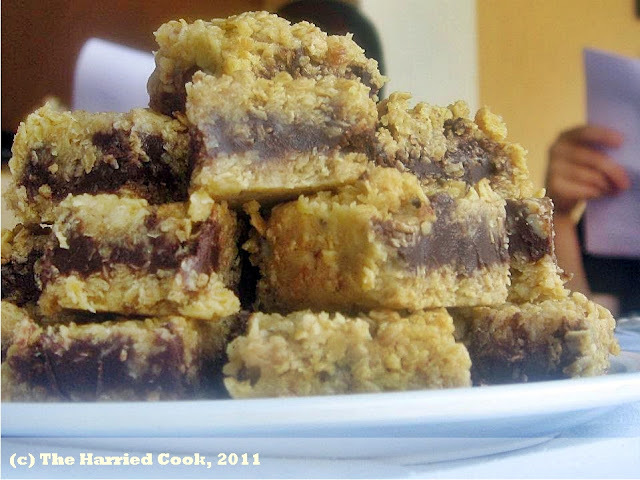 And theose no bake oatmeal treats, hope there's a recipe coming soon.